Kyle Borowski sits on top of our Astrovan just by the Pennsylvania/Ohio border. This small farm town would hex us with trinities of crosses in almost every field. July 7, 2001. A vintage postcard I bought at Sherman’s drug store in Clyde, Ohio—it’s no longer there, but Rite Aid is. 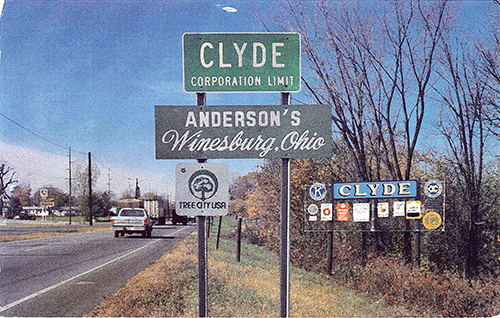 As for the image in the postcard—that is no longer standing at the Route 20 entrance into Clyde, Ohio, either. July 7, 2001. 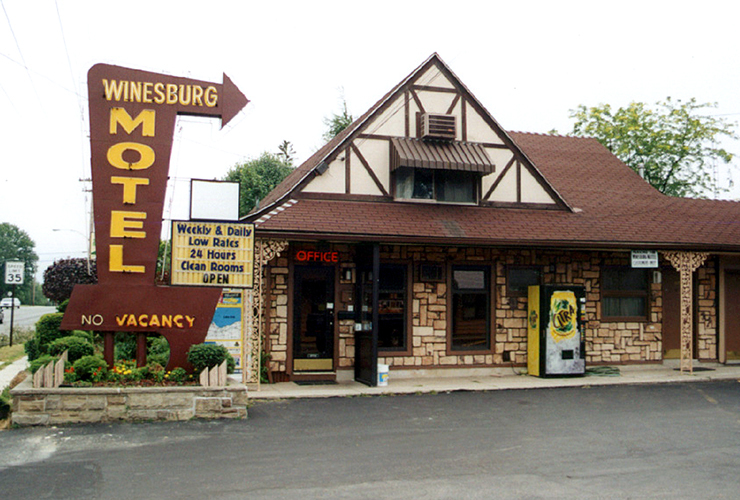 Our digs for the night—The Winesburg Motel. At the time it was the perfect fleabag motel. Plenty of local color, and as well-kept as a 40+ year-old motel could be. 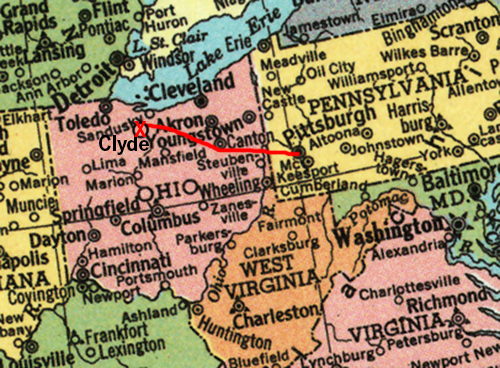 Subsequent visits to the motel revealed a darker side; the underbelly of small town of Clyde, Ohio. July 7, 2001. 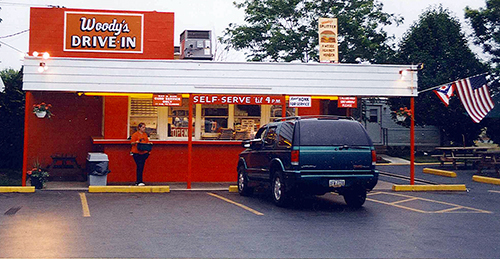 Woody’s Drive-In, a local joint in Fremont, Ohio, where the root beer is homemade and the hot dogs and fries are the perfect comfort food on a warm night. Kyle and I got there just in time—the rain started as soon as we finished our meals. July 7, 2001. 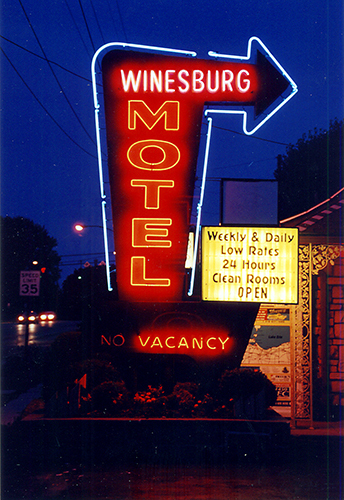 The classic neon sign tempting travelers off Route 20 into a mom-and-pop refuge glowed with the comfort of a sunset. The sign is no longer there. July 7, 2001.